This tutorial is the introductory video to Bjorgvin's course 'The Power Of Song'. Follow the lnk below to find out more about the course. The power of song tutorial from the course Music production Strategies by Bjorgvin Benediktsson who runs the website www.audio-issues.com. 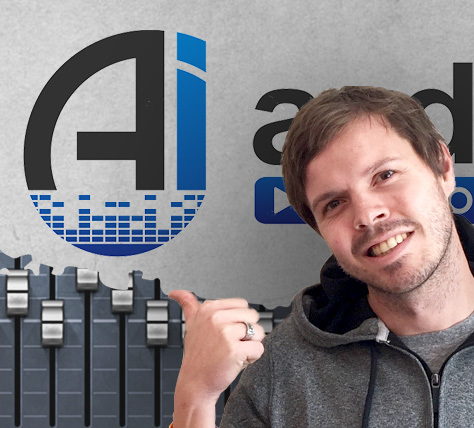 Audio Issue's goal to teach you everything they can about home recording, mixing music and producing your songs. Hello everyone. Welcome to week one of music production strategies. Today we're going to be talking about the first three songs in the course and in an effort to have anunderlying theme or at least the title to the slides, I'm going to be callingthis week ‘The power of song’. Before we get started I just want to have a quick recap of what we did in the ‘Getting Started’ video. As you know listening is key. As you go through this course I want you to actually get sick of these songs if you can. I want you to know theminside and out so well and know every instrumental layer and every word, everymelody. You listen as you read the reports to gain more information aboutthe background of the song. You listen as you watch the arrangement graphics tosee how the layers of arrangements are set up. You listen to it in the gym, onthe road, in the shower etc. You should belistening to the song structure, the chords, the tempo, the timesignature and how they affect the way you perceive the song and how the songaffects you. You should listen to the instrument and arrangement choices and how theyinfluence the song as well. For instance a keyboard choice as a main instrument isgoing to result in a completely different song than if you had an acoustic guitar. We’ll be going into this later but as a tease preview: ‘Bridge over troubled water’was originally written on acoustic guitar but is actually arranged forpiano which makes it a completely different song. Then lastly,production engineering choices: How you layer your sounds, how you choose the way thesong sounds. Obviously certain eras have certain sounds. It's not like they made adecision to make it sound seventies, it was the seventies! What you can do today istake a lot of those things that were done back then and incorporatethem into your productions if you wanted to sound more seventies, eighties ornineties. Lastly have fun with it. It's music after all and you should beenjoying iteven if you don't like the genre or don't necessarily like the song. Try toat least extract some value that you can use in your productions. Here'swhat we'll be looking at today.Carole King's ‘It's too late’, Al Greens ‘How can you mend a broken heart’ which isactually a Bee Gee’s song but we'll get to that later and Elton John’s ‘Goodbye Yellow Brick Road’. Then of course I'm assuming you've listened to the songs, read thereports and looked at the arrangement graphics. I can't stress this enough, it'snot enough to just watch these videos. These are the highlights,there's a lot more information on the site that you can use. Let's jump in. ‘It's too late’Carole King from the essential Carole King. I took it off Spotify but it’s fromTapestry I think. In the report you should have what album the songs from, whoproduced it, how long it is and all these little information titbits. It’s a simplesong structure. Its verse, chorus, verse, chorus and then C section which is just asolo section really and then it ends with another verse, chorus. It has a couple oflong solo parts as well but like I said, it’s a simple song but with complex elements. It’snot just a simple 4 pieceguitar, drums, vocals & bass. There's congas in the verses, piano chords stabs with the lead guitar accenting those piano riffs. There's a full drumkit that comes in at the chorus and then there's the backing vocals that weave inand out. One of the things that I think is really cool here is the minorverse to major chorus jump in key that makes the song lift up to anew level. If you can get away with it and figure out thechordal structures to lift the mood of a song or add interest to the chordstructure. Here it's in A minor and then the end of the verse goesdown from A minor to G to F major 7th which is the dominant of B orB flatso you can go from an F major 7th to a B flat so that completelytwists it around and makes that chorus a major key song. I'm not an expert in music theory or chord progression but I can feelaround with it and understand a little bit of that theory. Another great song that does a similar thing is a ‘While my guitar gently weeps’by George Harrison which does the same thing. It’s in A minor and then the chords that close up the verse enables it to jump into an A majorchorus, lifting the song to a different dimension and differentfeel. Really cool if you can figure out a way to structure your chordprogression to lift it up like that. If you look at the arrangement side of it, in thissong we have these little fills of vocals and guitar licks that addinterest to the white spaces of the arrangement. You have that little piano, guitar lick and thenyou have just the normal voice that has the meaning in the lyrics of the song,but you always have little snippets going on in the background that weave in and out to add musical interest so it's not justa simple song. Adding these tiny little thrills and frills can reallymake an arrangement pop and overall the song works because of its greatchord progression, like I said the minor, major key jump is a really cool thing. Themelodies nice, Carole King's an awesome singer, she's an amazing songwriter andthat instrumentation that weaves in and out of the vocal spaces really tiesthe whole thing together. Next up is ‘How can you mend a broken heart’ performed by Al Green but is originally by the Bee Gee’s but I like this song better. Sometimes the cover is better so sorry about that if you’re a huge Bee Gee’s fan. There'ssomething about the soulfulness of this performance that really does it forme. Al green just has really great performance of soulfulness and melancholy that really seals the deal for me.Here's where we get into this difference in time signature and how timesignature can actually influence the way you perceive and feel a song. This 6/8time signature makes it a sombre waltz of sorts instead of doing the whole1,2,3,4,1,2,3,4. Itflows better in this 6/8 and then on top of that the chord progression is a minor key blues you can say, but because it has that minor secondchord it helps the melody feel more melancholic, or at least that's what I'mgetting out of it. Because of the 6/8 time signature, the arpeggio guitar is reallyperfect in that song. It helps it flow. The beat never really starts andstops like you have in a 4/4 time signature and that guitar stillmakes the whole song harmonically anchored because it's playing the chordsof the song. Another big highlight that I really like is the string section. Thestrings play a big part in adding contrast, dynamics and a common responseto the song. Listen how the strings back off in the verses and then come in big in the choruses. They play a big role leading into the choruses aswell so using strings, synths or keyboards or anything that’s asecondary instrument. Using that to create contrasting impact into a certainbigger part like a chorus is a really effective way to make a song soundbigger. Then finally it's all about the performance. It doesn't matter howmuch gear you have, how expensive your microphone is and all that jazz. All that doesn'tmatter if you can't get a good performance. In this song you havethis really soulful, great vocal performance that you should betrying to get from any singer. Of course you shouldn't be getting a soulful,sombre performance from every singer, you try to get what's right forthe song. There’s obviously a lot of different ways to do that. You can create a niceenvironment where they feel comfortable and safe to give you a great performance. If you're doing a song that’s angry and mad and the singer needs to be superangry at the microphone you could be inclined to be a little annoying to himso he gets mad, or you can remind him or her of a situation that makes themreally mad so they can channel that energy into the performance. Goodperformance is really the takeaway from this song and what you should bestriving towards in all your recording sessions from all your players. The last today is Elton John’s ‘Goodbye Yellow Brick Road’. One of the cool thingshere are the chord accidentals. Like I mentioned before, both of those songshad chords that gave a specific feel or vibe to the songs. In Carole King’s song you have the major key jump now goes from one chord into another key. Then the Al Green song has the minor 2nd chord that creates the melancholy feel but hereElton John breaks the chord progression rules by inserting a chordthat doesn't belong in the key. He does it in a way that works with theprogression as a whole so breaking the rules is a great way to create somethinguniqueif you can write something that fits together and also works with the melody.What’s interesting in the structure is that it's an ABCBA structure so it's a verse, bridge, chorus, bridge, verse. I thought it was interestingbecause I didn't really think of it that way.Normally you think of the chorus being the loudest part of the song. It allleads up to the chorus and that has to be bigger, but here the bridge isactually the biggest part of the song and then it dips into this arrangementvalley in the chorus, then it blows back up with all the vocals and everything that connects the chorus to the verse. So it's an interesting inversearrangement of the song. Sound wise Elton John’s ‘Goodbye Yellow Brick Road’ hasa very natural vintage sound. Obviously it was recordedway back and the drum sound is a little distorted but here's the thing,it's not enough to take away from the sound or the performance. If youlisten to the song you might listen to some of the tom fills, I don't know if it’s just the toms or if it's distorting the preamps but they soundjust a little too distorted for me. It might also have to do with the mp3conversion. However that doesn’treally matter to me because it's a great song. That's what it's all about, not just for ‘Goodbye Yellow Brick Road’, for any song in these analyses but in also in your productions. A great performance will outweightechnical issues every day and that takes us to the action step of this week.Find a song that has a great performance and you can't cheat and use the oneswe’re using here, but find a song that has a great performance but noticeablerecording flaws. Then ask yourself, does the flaw take away from therecording? Do you get used to it so it doesn't matter? Or doyou ignore it and completely forget about it after listening a few times? If you weren't listening intently would it even matter? So, why I realise thatthere's distortion in those toms is because I've been listening to that songforever over and over againand I don't think on the first listen I was hearingthose distortions, but when I started zeroing in on the drums, taking one passthrough, just listening to the drums or just listening to this or that I startednoticing these imperfections. That's what recording’s all about. It’s okto have the imperfections as long as the song is delivered as a whole. That'sit for this week, take a listen to the songs again and see if you can findsomething new that catches your attention. Find a song that has a greatperformance but noticeable recording flaws and ask yourself does it evenmatter. See you in the next video.